Remso specializing in design and manufacture of foundry ladles. using proven designs combined with the latest manufacturing techniques. • Transfer & casting ladles. 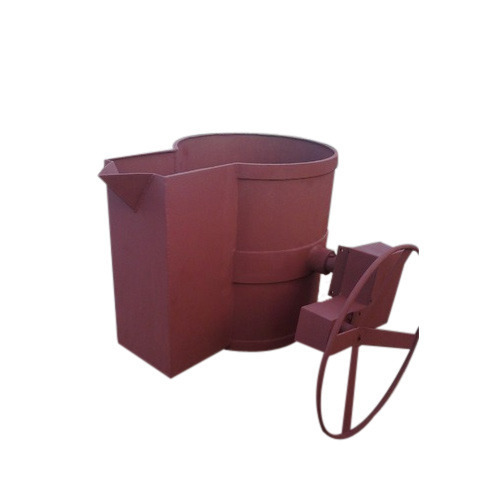 • Treatment ladles for the production of ductile (S.G.) iron. • Porous plug ladles for desulphurisation processes. • Drum & U shaped ladles. • Ladles for auto-pour units. • Lining formers for ladles. Open top/ deep treatment (sandwich). 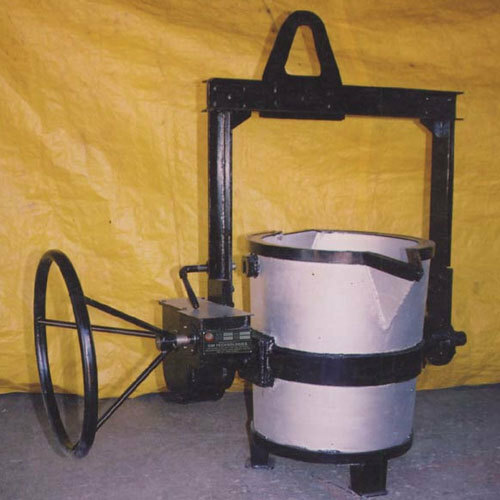 Ladles range in size from small hand hold 250 kilograms to large steel mill ladles that hold up to 10 tones. The basic ladle design include many variations to improve the usage of the ladle for specific tasks. To stop pouring the stopper rod is inserted back into the drain hole. Medium and large ladles which are suspended from crane with bail which holds the ladle on trunnions. To tilt the ladle a gearbox is used and having a worm gear. The gear mechanism may be hand operated with a large wheel or may be operated by an electric motor or pneumatic motor. 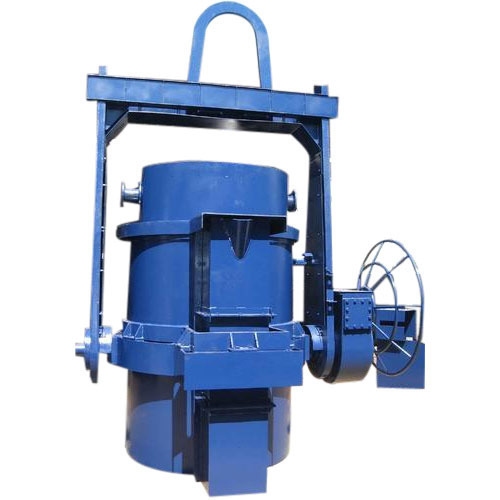 Powered rotation with locking obviously allows high volumes of molten metal to be transferred and poured for long periods without operator fatigue. All welds of ladle shell and bottom are full penetration welds with back gauged roots. All welds of the Ladle are 100 % magnaflux-tested (MT). In addition all full penetration welds are 100 % ultrasonic-tested (UT). X-Ray testing has to be done on welds . Being one of the prime names in the industry, we offer our distinguished customers SG Iron Treatment Ladle that is manufactured with utmost accuracy. This entire product range is known for smooth surface finishing and are highly recommended among the customer. With the assistance of experienced engineers, we are able to stand in good position in this industry. Owing to the years of experience in the sector, we offer our customers a wide range of Tea Spout Ladle which are quality approved and are in conformity with set international standards. They have very smooth surface finishing and delivered as per the specifications given our esteemed customers. These entire product range is well tested by our skilled workers on varied parameters. We are reputed manufacturer, supplier and exporter of industrial ladles. 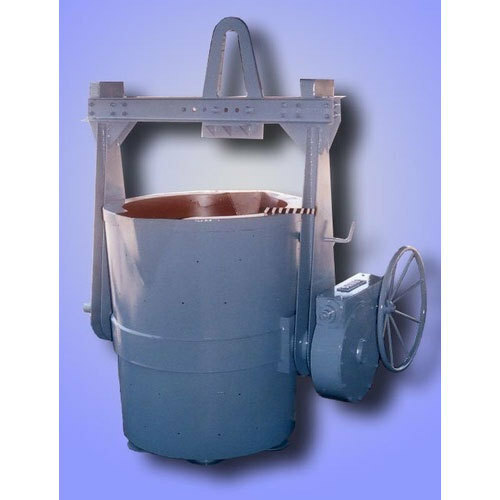 These ladles are available in capacities ranging from 100 Kg to 10 tons. 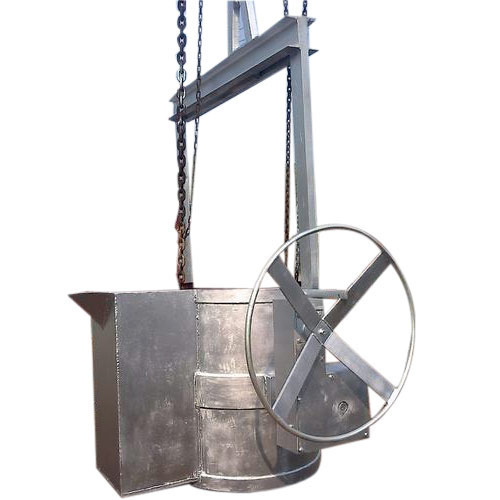 For different uses, we offer five types of ladles that are commended for the safe designs, interchangeable shanks, frames and gear boxes having same capacity and arrangement for gear tilting. The gear boxes have sturdy construction and are outfitted with superior quality machine parts. Steel worm and phosphor made worm wheel are fitted on the taper roller bearings. Our products match with the ISI standards and can be availed in varied tailor made options. In a foundry, a ladle is a vessel used to transport and pour out molten metals.Many non-ferrous foundries also use ceramic crucibles for transporting and pouring molten metal. Remso extensive range of foundry ladles are suitable for all types of metal handling requirements. The ladles can be supplied as per standard configuration or custom designed to incorporate your special requirements. The foundry ladleare steel vessel that has a lifting bail fitted so that the vessel can be carried by an overhead crane or monorail system and is also fitted with a mechanical means for rotating the vessel, usually in the form of a gearbox. The gearbox can either be manually operated or powered operation.